Charleston Veterinary Referral Center is the most advanced and comprehensive small animal referral and emergency hospital in Charleston and the Southeast. We see appointments by referral from your primary veterinarian and are open and staffed for emergencies 24 hours a day, 365 days a year. Specialties include emergency medicine, critical care, internal medicine, cardiology, neurology, oncology, surgery, reproductive medicine, physical rehabilitation, and sports medicine. 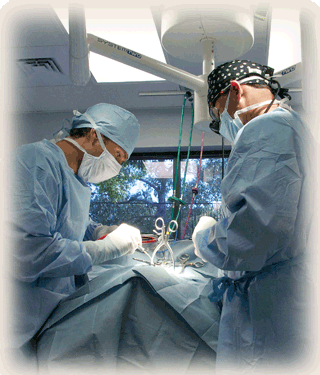 Patients come to us from South Carolina and surrounding states. CVRC is a 24-hour specialty and emergency referral hospital conveniently located in the suburb of West Ashley, about 20 minutes south of downtown Charleston, SC. 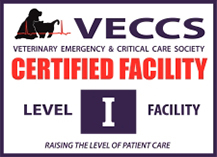 The Veterinary Emergency and Critical Care Society (VECCS) has awarded us its highest certification for emergency and critical care, Level I, making Charleston Veterinary Referral Center one of a select few veterinary hospitals in the nation and the only hospital in South Carolina to attain this recognition.